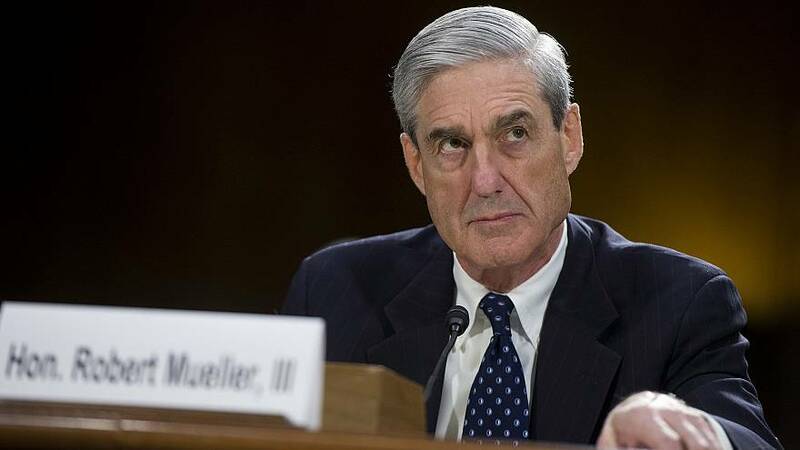 As Democrats wait to read special counsel Robert Mueller's highly anticipated report to Attorney General William Barr, they've increasingly expressed caution and skepticism about what it might contain. Whether because of fears the report won't fully be made public or that Mueller was not able to be as thorough as they believe is warranted, key Democrats have ramped up their own investigatory efforts even as they await Mueller's information. Some of President Donald Trump's critics have waited with bated breath for the better part of two years to find out whether Mueller's final report on Russian interference in the 2016 election and possible collusion by the Trump campaign will offer a damning assessment of the president's conduct. "The special prosecutor is limited in scope, his job was limited in scope and limited to crimes," Rep. Jerry Nadler, D-N.Y. and the chairman of the House Judiciary Committee, said Sunday on CNN's "State of the Union." "What Congress has to do is look at a broader picture. We have the responsibility of protecting the rule of law." Rep. David Cicilline, D-R.I. and a member of the Judiciary Committee, told NBC News last week that he thinks people are "very sober" about what could be in Mueller's report. But he also said he has the sense that Trump's supporters are recently "feeling a little less anxious about" the report. While many of the revelations over the past two years are "alarming and very concerning" on their own, Cicilline said Trump's allies "seem to feel like, this is all out there already, and unless there's some kind of smoking gun, then he'll be able to survive this." "I just don't know if they're right," he said. "I don't have the same level of confidence that maybe there's something that we just haven't seen yet." Trump has been uncharacteristically quiet since the report was submitted, posting next to nothing on Twitter aside from wishing followers to "have a great day" on Sunday morning. He tepidly called for the report's release last week, telling reporters on the White House South Lawn "let it come out, let people see it." Speaking to NBC News, former White House chief strategist Steve Bannon said Trump would "weaponize the Mueller report and bludgeon the opposition party media and the Democrats." Cicilline told NBC News that Trump is "going to try to diminish and undermine the rule of law, to undermine the law enforcement agencies responsible for the work, to denigrate the motivation of people doing the work," he said. "I mean, we should expect the president continuing to do that." The House this month unanimously passed a resolution calling for the report to be made public. Following Mueller's submission, Democrats widely called for the report to be released in full. While Cicilline said he's "very confident the report will be made public," Rep. Raja Krishnamoorthi, D-Ill. and a member of the House Intelligence Committee, told NBC News he doesn't share the same confidence. "I think all of us are assuming that he probably won't release everything to the public," he said. "So that's why I think we're all a little concerned about what's going to happen here." Added Rep. Eric Swalwell, D-Calif. who is a member of both the House Intelligence and Judiciary committees, "You know, we sent a pretty clear message to him, a pretty clear bipartisan message to the attorney general, that we expect to see every word, comma, period, of this report, that we don't anything to be held back, that it is an investigation of the greatest magnitude, and Congress and the public should see it." Nadler, meanwhile, said Sunday on NBC's "Meet the Press"that the White House won't be able to hide behind the power of the presidency if there are damaging findings in the report. "It's critical that everything in that report and the underlying evidence be public, be open to the American people," Nadler said. "That transparency is key. America needs answers as to what's been going on. Mueller was tasked with investigating Russian interference in the 2016 election and whether the Trump campaign colluded with Russian officials. Mueller's investigation led to the indictment or conviction of 34 individuals, including major Trump associates like former campaign chairman Paul Manafort and former national security adviser Michael Flynn. But none of those charges included a direct allegation of colluding with Russians to swing the 2016 election. Trump and his legal team refused to provide Mueller with any live testimony, instead giving written answers to questions about collusion. Mueller expanded the probe to include whether Trump obstructed justice by firing then-FBI Director James Comey, among other actions, but the president refused to answer any questions on that topic. Earlier this month, Nadler launched a wide-ranging probe into possible "abuses of power" that he says will go far beyond the scope of Mueller's investigation. In doing so, his committee — which is where possible impeachment proceedings would begin — requested documents from 81 individuals or entities connected to Trump. Nadler told The New York Times that even without the Mueller report, there's "a lot of evidence" Trump obstructed justice and "we may need to know a lot more than the Mueller report says." In speaking with ABC's "This Week" earlier this month, Nadler said "we can't depend on the Mueller investigation" to provide the nation with all the information he believes is necessary. Cicilline pointed to Mueller's limited scope, saying it's "incumbent" on Congress to "make it clear" that their work on obstruction of justice, corruption, and abuse of power — which Trump has labeled "presidential harassment" — is much different than Mueller's focus on potential conspiracy between Trump campaign associates and Russia. House Intelligence Chairman Adam Schiff, D-Calif., meanwhile, told NBC's "Meet the Press" this month it would be "a mistake" for Mueller not to get in-person testimony from Trump. In response, Trump's outside counsel, Rudy Giuliani, told NBC News, "I thought he trusted Mueller." Cicilline said Trump's lack of live testimony to Mueller is "a glaring omission," though it's hard to know the impact of that omission without seeing all of Mueller's evidence. Trump's legal team threatened to launch a bitter legal fight if Mueller sought to compel Trump's live testimony through a subpoena. Schiff, meanwhile, later told NBC News that Congress might call on Mueller to testify if the Justice Department does not release sufficient information on the report, adding that he is not convinced Mueller dove deep enough into Trump's personal finances. Those concerns are shared by Krishnamoorthi, who said one of his biggest concerns is Mueller's scope and what he "felt he was allowed to explore and what he wasn't." As it stands, what Democrats are most concerned about in the immediate future is just being able to obtain the full report. Swalwell told NBC News all he wants is "a through report that the public can see." "You know, I'm not rooting one way or the other," he said. "I just want the public to know what happened in the 2016 election, whether any U.S. persons worked with a country that worked against us, and whether there was an effort by the president or anyone on his team to try and cover up what they did by lying or obstructing the investigation." But because of what he said were the Trump administration's "efforts to obstruct the investigation," Swalwell added he wants "to hear it from Mueller's lips that" the special counsel "was able to pursue all the evidence and was never stopped from doing so."